Mr. PAUL. Mr. Speaker, I rise in opposition to the Voter Eligibility Verification Act (H.R. 1428). My opposition to this bill is not because I oppose taking steps to protect the integrity of the voting process, but because the means employed in this bill represent yet another step toward the transmutation of the Social Security number into a national identification number by which the federal government can more easily monitor private information regarding American citizens. The Social Security number was created solely for use in administering the Social Security system. Today, thanks to Congress, parents must get a Social Security number for their newborn babies. In addition, because of Congress, abuse of the Social Security system also occurs at the state level such in many states, one cannot get a drivers license, apply for a job, or even receive a birth certificate for ones child, without presenting their Social Security number to a government official. Now Congress is preparing to authorize the use of the Social Security number to verify citizenship for purposes of voting. Opponents of this bill are right to point out that, whatever protections are written in this bill, allowing states to force citizens to present a Social Security number before they can vote will require the augmentation of a national data base — similar to those created in the Welfare Reform and the Immigration Bills of 1996. Mr. Speaker, clearly we are heading for the day when American citizens cannot work, go to school, have a child, or even exercise their right to vote without presenting what, in effect, is quickly becoming a national I.D. card. National I.D. cards are trademarks of totalitarian governments, not constitutional republics. Im sure all of us have seen a movie depicting life in a fascist or communist country where an official of the central state demands to see a citizens papers. Well the Founders of the Republic would be horrified if they knew that the Republic they created had turned into an overbearing leviathan where citizens had to present their papers containing a valid government identification number before getting a job or voting. In order to protect the privacy rights of Americas citizens, I plan to soon introduce the Privacy Protection Act, which will forbid the use of the Social Security number for any purpose other than for the administration of the Social Security system. I would urge my colleagues to support this bill when introduced and vote against the Voter Eligibility Act. It is time for Congress to protect the Constitutional rights of all Americans and stop using the Social Security number as a de facto national identification card. 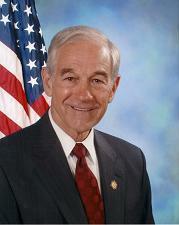 1998 Ron Paul 10:2 such in many states is grammatically incorrect. Perhaps it should be, so that in many states.